Unbound has donated 345 copies of the refugee anthology, A Country to Call Home, to schools and youth organisations across the UK, including Essex, Kent, Norfolk and Yorkshire. The donation of books was possible thanks to the generosity of Chris Riddell, who illustrated the anthology. He gifted the original prints to Popescu who, together with Unbound, sold each of the 23 illustrations, using the funds to distribute the anthology to schools. Another benefactor is donating a further 135 copies to libraries across the country, and pensioner Michela Fyson has bought 80 copies to donate to schools in Stoke. 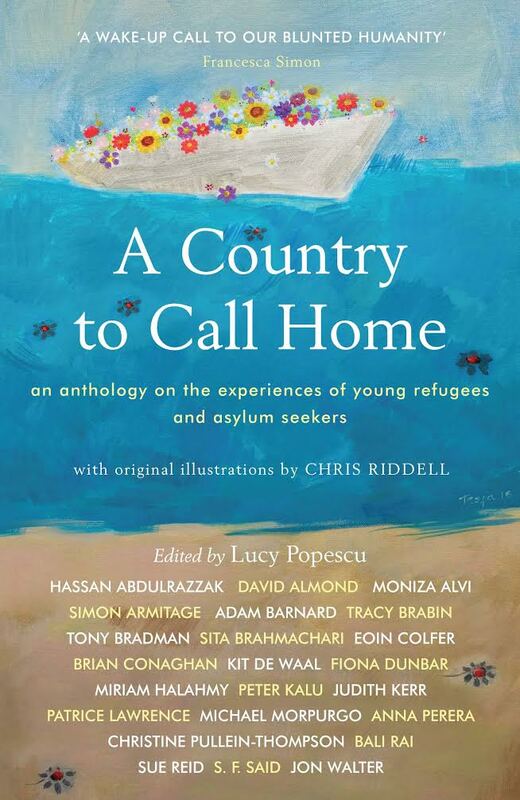 A Country to Call Home explores the experiences of young refugees and asylum seekers and includes newly commissioned stories, flash fiction, poetry and essays from children’s writers including Brian Conaghan, Kit De Waal, Judith Kerr, Patrice Lawrence, Anna Perera, Bali Rai and SF Said. There are tales of home, and of missing it; poems about the dangerous journeys undertaken and life in the refugee camps; stories about prejudice, but also stories of children’s fortitude, their dreams and aspirations.